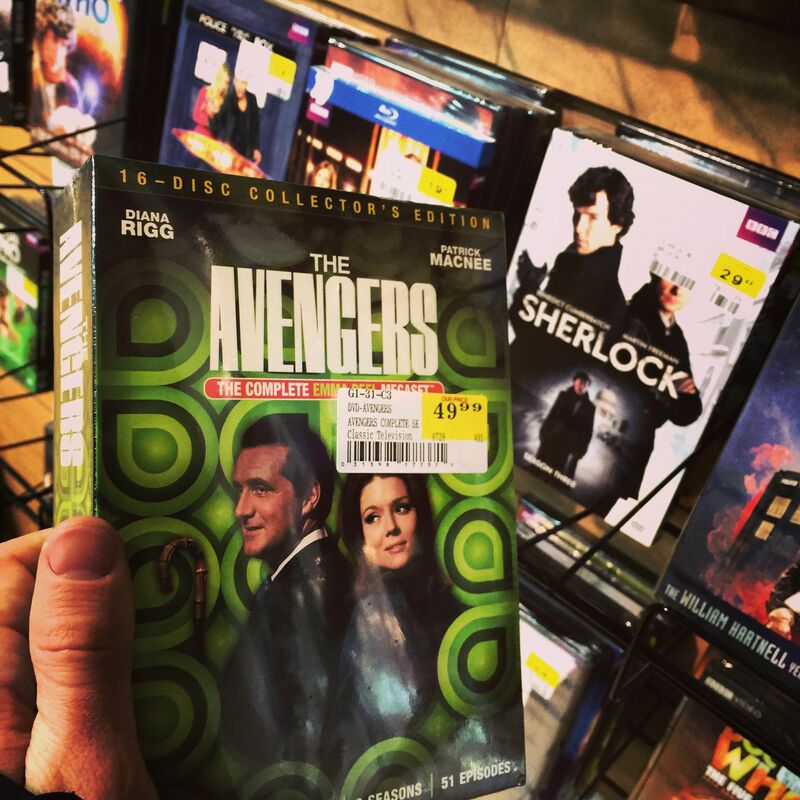 The other night I once again found myself pulling out the stalwart and timeless DVDs of The Avengers. 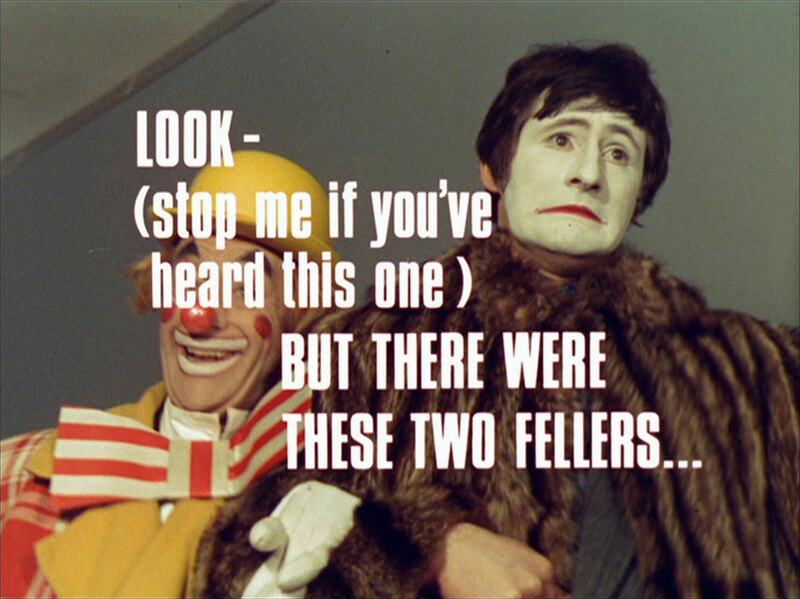 This time my attention was drawn to an episode near the end of Emma Peel’s second and final season, entitled The 50,000 Breakfast. I wanted to watch it initially based on a remembrance of the episode’s unusual music score, which does not recur as much as some others do in other episodes of the series and thus, stands out more on its own. I did not expect on revisiting the episode at this particular moment in time to see a clear allegory for the present uneasy political moment in the USA. 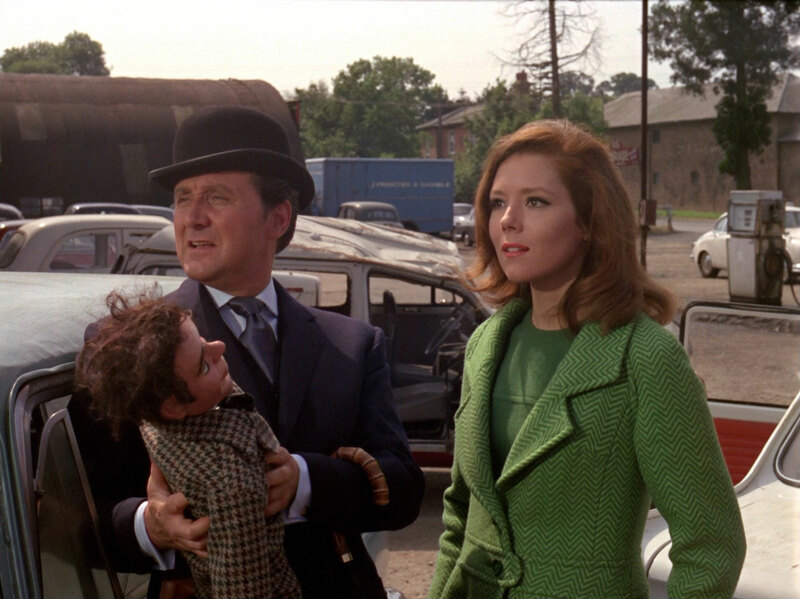 In the story, our heroes Steed and Mrs. Peel encounter a team working for the mysterious and accomplished Litoff Organization, focused on finance in Central London. Of particular note in the present era comparison are the two lead individuals they interact with from the company. One person is Miss Pegram who is not given a specific job title but is clearly the woman in charge, an idea which is quite revolutionary for 1967. In the other camp is company butler Glover, whose exact raison d’etre for being part of the company is not made clear by the script (well, I guess he’s Mr. Litoff’s butler, but Mr. Litoff is never seen) and so Glover stands as a bastion of an older time, where men and women had more traditional and formal gender roles. Near the end, when Glover is revealed to have malicious negative intentions that place him aligned with the rest of the villains, he presents a brief and strikingly abrupt (for the rest of the series) monologue, claiming that he “want(s) to be ill mannered and rude and uncouth, and order people about, especially women. I look forward to being excessively rude to a considerable number of handsome women!” – and so he is obviously, with the present day parallel, an elder Donald Trump, while Ms. Pegram, with ambitions to conquer the “man’s world” of finance and accomplishment, clearly evokes Hillary Clinton. And that is another of many ways that The Avengers remains both timeless and ahead of its time. 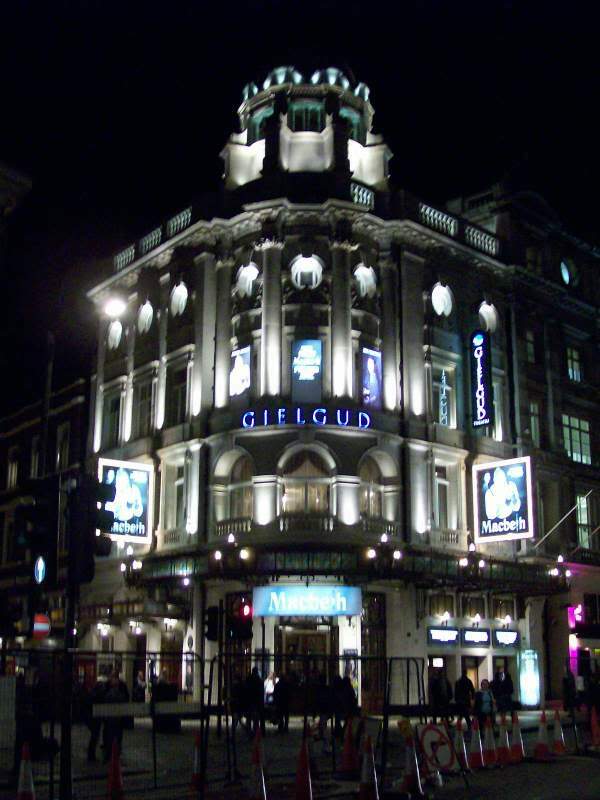 Inevitably, researching yesterday’s post got me nostalgic about the many good times at various theatres in London. 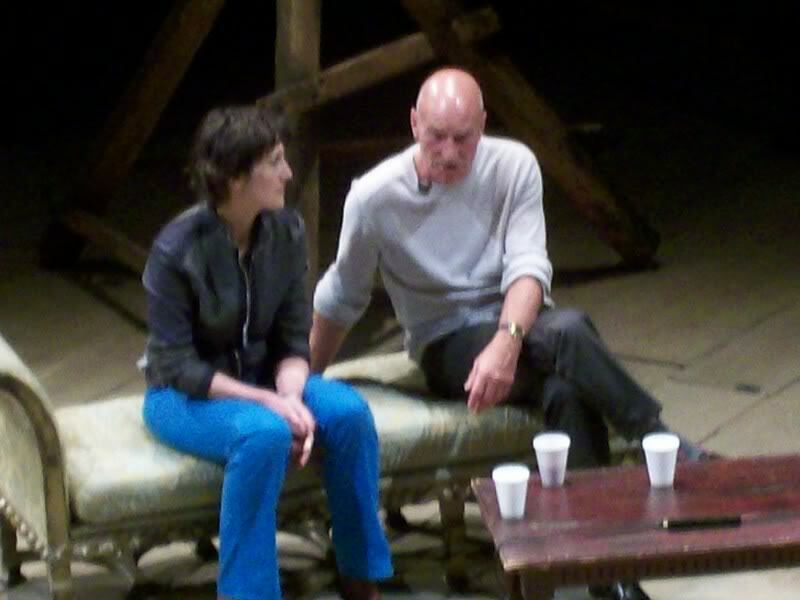 From time to time I particularly recall my good fortune in getting to see Patrick Stewart perform three different Shakespearean roles on West End stages in 2007. This was a time when Stewart had moved back to the UK and was specifically focusing on reconnecting with his theatrical roots at the RSC and with other regional arts organizations. It was also, arguably, a time when he wanted to put distance between himself and his Star Trek/X-Men/general Hollywood pursuits. I don’t think he feels as strongly in the present era, judging by his current status as a resident of Brooklyn and marriage to an American film producer. His social media and pop culture notoriety have reached a new height in recent years thanks to his many pairings with friend Ian McKellen. In February of 2007, I was very excited to see Stewart onstage for the first time. I eagerly wrote about it in my LiveJournal the next day. Last night I had a front row seat to see Patrick Stewart and Harriet Walter perform the title roles in the RSC production of Antony & Cleopatra. It was the BEST show I have seen since returning to London, and you can see more info about it here. The energy of the show was incredible, carried by the two leads but ably supported by the rest of the cast. They also all seemed to be having fun with their roles (impressive, as they’ve been performing them off and on for almost a year) and with a keen understanding of what the story meant in a larger context. Those feelings were also accomplished through intriguing usage of set and light design, with Cleopatra’s “lair” being high above and then center stage, the usage of lights to create a unique map on the rear wall which seemed to change shape every so often, and creative music on the sides of the stage, including Buddhist-esque usage of gongs and cymbals near the end of the play, to denote the Egyptian slant. Seeing everyone in the play remain so committed and energetic, as exemplified by a warm glance that Stewart gave to Walter just before they took their center-stage curtain call, extremely impressed me. Walter and Stewart gave a talk at a special RSC anniversary day I attended later that year. A few weeks after I saw Antony and Cleopatra, Stewart moved right on to rehearsing The Tempest, with him starring as Prospero, for a London run. He gave an interview to The Stage theatre magazine (excerpted here) that seemed to imply he wanted to distance himself from his Star Trek fame. I don’t think he is in that same creative place today. I caught The Tempest with a friend near the end of its run. For some reason I did NOT write about that experience in my LiveJournal. I recall it came at the middle of a particularly tiring week for me, which probably contributed to my lack of interest in writing about it. Stewart was on his own dramatically in that production, not paired with a marquee name and bringing an expectedly high level of gravitas to the role of Prospero. I do recall much emphasis on the isolation of the character and the plot, with windswept drapes across the stage and foreboding sound design throughout both acts of the play. Nine months later, I was back in London for an “encore” visit to tie up some loose ends from my stint living there and enjoy another abbreviated round of area theatregoing. I was pleased that the plays would include Macbeth featuring Stewart in the title role, and bought a ticket two weeks ahead of time to ensure that I would be able to see the hot – ticket production. I again summarized it on LiveJournal. Macbeth was a good, strong and edgy production, although perhaps not as spectacular as the critics were claiming it was. Interesting conceptual work (setting it in a Russian hospital, the witches became nurses, the horror film elements of the story were played up) but I had a hard time sustaining my attention at times, either because of an uneven supporting cast (aside from Patrick Stewart’s magestical performance) or knowing the story very well. 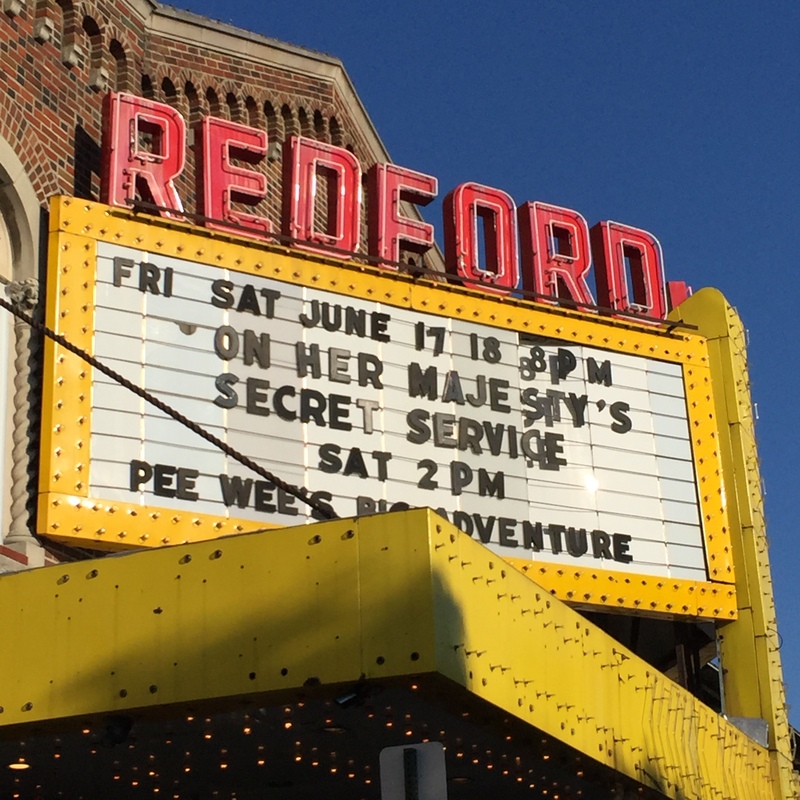 Bonus: the following night brought the first time I saw my favorite British actress Diana Rigg onstage. So naturally that experience received more attention in the blog post. All About My Mother was excellent, anchored by tremendous ensemble-centring performances from Lesley Manville and Diana Rigg, who, as many of you know, remains my favorite British actress. Rigg in particular held her scenes very strongly with a combination of humor and vulnerability, and I loved how she struck completely different dramatic angles for each part of the story. In the earlier scenes, she’s just a strong-egoed actress, but as her character begins to be revealed, she took on deeper resonance with the mothering themes of the storyline and showed vulnerability. Additionally, the direction of the play was inventive, incorporating frequent use of promenade staging, inventive reverse angle curtain calls as part of the story, and a strikingly spare wide-stage perspective towards the end of the play. Since this has been a stellar year for keeping up investment in this blog, and taking it to steadier heights, I’ve decided to attempt to maintain a writing series for the remainder of 2014. Going off of some current popular social media trends, I will be presenting a weekly Theatrical Throwback Thursday and Film Flashback Friday, which also tie in to the two ongoing themes of this blog. 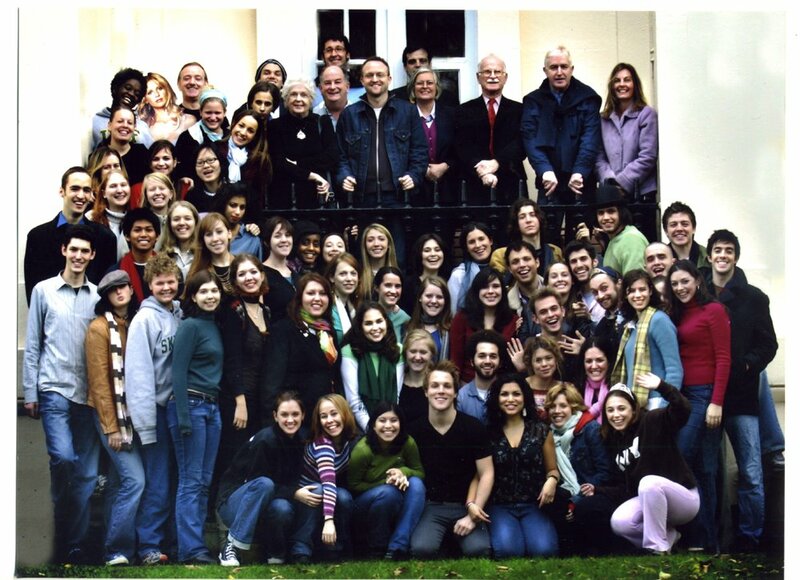 First up for the theatre section: a look back at my time studying at British American Drama Academy in London, England, which began ten years ago yesterday. It’s wholly accurate to say this experience solidified my partnership with the theatre. Never before had I been in such an immersive and appreciative theatrical environment, with countless productions going on across the city of London and a constant awareness of how the craft could impact us built right in to the curriculum. Fiona Shaw dropped by for a masterclass, Daniel Evans came two weeks later, our teachers casually spoke of Derek Jacobi, Judi Dench and other acclaimed thespians. I had a weekly tutorial session with a character actress who’d had a well – known guest appearance on my favorite episode of a certain cult 1960’s television show, but I never got up the courage to ask her what being on the set was like. We had regularly scheduled trips to see the latest theatrical offerings that season in London, with some being immediately memorable and some not so much. I was thrilled by surprise changes in the schedule, such as a trip to the Cheltenham Festival of Literature near Oxford that brought about a brief meeting with Neil LaBute, whose The Shape of Things I was preparing to direct the next semester back at Hampshire College, along with a quick meeting with acclaimed actress Joanna Lumley. All of this was jammed in to the first eight weeks of the program, when the focus was on conservatory – style classes during the day and the nights and weekends devoted to additional theatergoing and getting to know various attractions in Greater London… and quite a bit of going out on the town. All of us crammed in to an apartment building in fashionable St. John’s Wood, just two blocks from the local Tube station and in the midst of the city’s premier American expat neighborhood. And then we took a weeklong break, just as the Election 2004 madness was nearing its climax back home, and the Red Sox had won the World Series for the first time in 86 years. I chose to go far, far away from London (and am very glad I did) but ought to have considered a more spontaneous group adventure, such as joining several guys in the program who went to the south of Italy. “The continent” continued to be our playground as we enjoyed what came to be seen as the heyday of cheap flights from the UK, just before climate change became a buzzword and various costs of living started a steadier and sharper increase that continues to this day – as I currently see in considering a trip back to the UK for spring break 2015. We reconvened back at school ready to spend the remaining six weeks of the program focused on intensive production, where all of us had roles spread out over three full length shows scheduled to be performed over three consecutive nights at an off-West End/Fringe venue on the other side of the Thames River. One group of performers tackled Singer, another explored The Visit, and the third group, including me, examined Roberto Zucco, channeling intensity and French – American anxiety in a story of a disaffected protagonist and the individuals he encounters. One day during the production process, The Facebook became available to students enrolled at Hampshire College and with a HAMPSHIRE.EDU address, and so I signed up for an account at the urging of my London classmates, with no knowledge of the cultural institution (and national obsession?!) the site would one day become. For some reason those rehearsal – based days are less clear in my memory than the class experiences, although I warmly recall the excitement of rising to the crescendo of the performance, and not being shy of giving it our all since it was just one night only. And then everyone had to pack up and head out the next day, leading to a random experience for me of traveling on the London Underground with a bathrobe over my jacket, since there was nowhere else to put it in my luggage. I stuck around Europe through the Christmas holiday in 2004, eventually returning to the US on the 28th of December after an unusual “Eurotrip” with Contiki tours where I was the only American in the group of 30 or so young people, and the trip was half sights I had seen before (Paris, Rome) mixed in with some new territory (Amsterdam and Munich) while traveling by bus throughout the journey. It’s an understatement to say it was a very wistful flight home to Massachusetts. – would not appreciate or be as immersed in the theatre world as I am in the present day. – would never have moved to Marin County or (maybe) anywhere in the Bay Area. 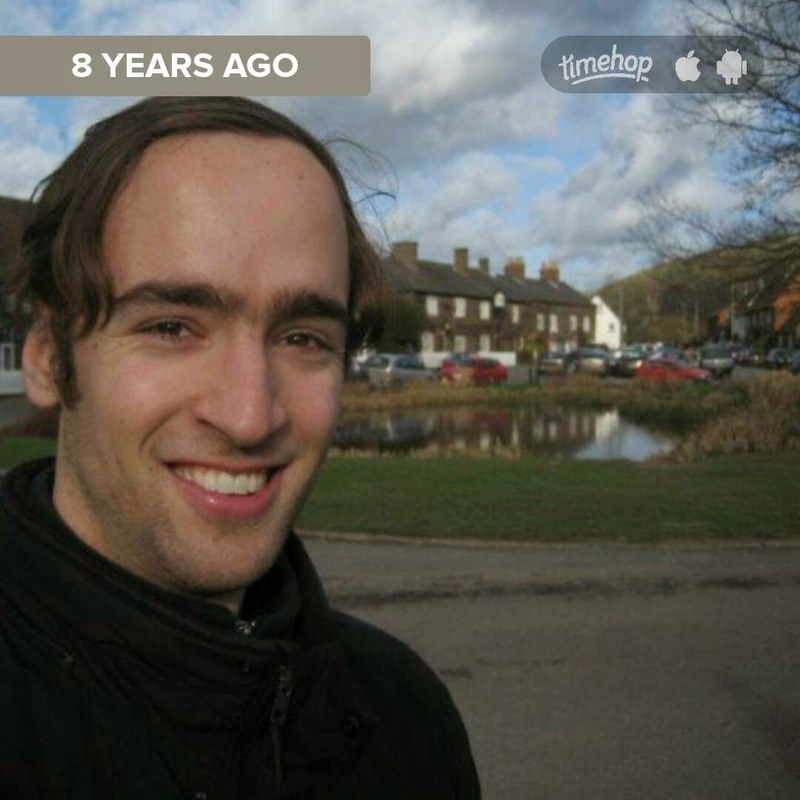 – would never have moved back to London in the first half of 2007 for a second, more independent stint of theatre life. – would not have explored Europe to the extent that I have. – would not have seen as much of the UK. – would not have discovered Humble Boy, a play by Charlotte Jones that kicked off my Div III experience at Hampshire the following fall. 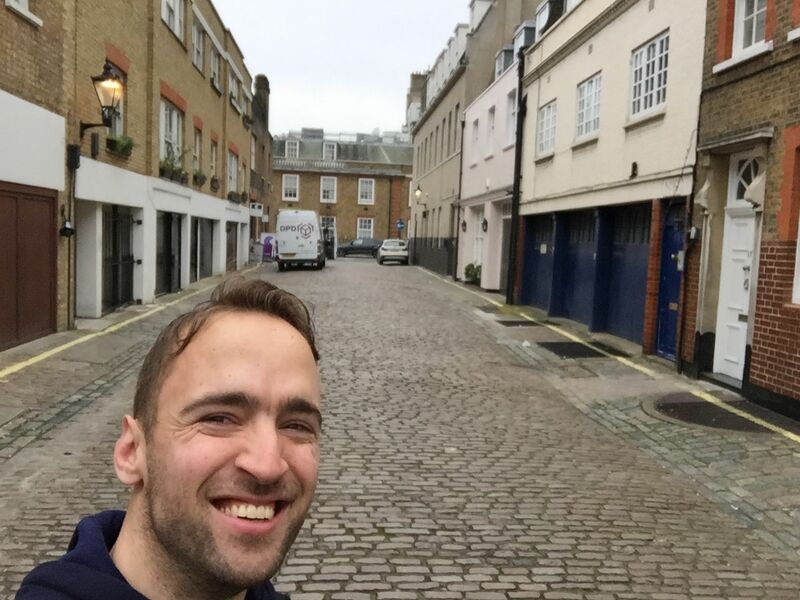 – would not have geekily and happily explored filming locations used in The Avengers and other 1960’s television shows. – might not have embraced the Facebook world as an early adapter. – might look at theatre from more of a distance, without an understanding of the immersion and cultural relevance of the art. In this case it is abundantly clear that the choices we make and the opportunities we get have long shadows and lasting effects, and I continue to be grateful for my time at BADA. Yesterday I was dropping my theatre resume off at a North London theatre (the Almeida, where The Shape Of Things originally premiered). As I was leaving the building, I noticed the actress Eileen Atkins, who has the lead role in their current production, casually standing outside the theatre. I thought for about a millisecond, and then looked right at her and said “I love your work!”. She then said “Are you American?” — funny how she could tell instantly, though I had read that she likes Americans and working in the USA. We proceeded to chat for a 10 mins or so genuine conversation first about theatre work at the Almeida; she seemed genuinely interested in my theatrical aspirations and suggested that I approach the artistic director in person and thought he might need some assistants…?! I then asked her a little bit about her career, which she was happy to share including a new film she’d just shot in Rhode Island. She quipped “you seem a bit young to know about my work” but then I explained that Cold Comfort Farm is one of my favorite films, and she smiled and agreed, also adding that she had originally been up for the grandmother role, not the cousin part, but John Schlesinger made a last minute casting switch and had let her know while she was performing a Virginia Woolf one woman show. It was coincidental and inspiring to be able to just chat with someone like her, and definitely keeps me in the “right location, right time, right liveliehood” frame of mind heading into the weekend. Am still on a high from meeting Diana Rigg this evening. She is by far my favorite British actress and getting to meet her in person, even though it was just a brief conversation, is the icing on the cake for the whole experience here. Her daughter Rachel Stirling had a starring role in the second show I saw today called Anna and the Tropics and she clearly inherited her mother’s strong stage presence, easily rising above the material that was already dramatically rich. Earlier today I’d had a feeling that Diana might attend the performance…was surprised that turned out to be correct! She was sitting just two rows ahead of me in the theatre and I recognized her instantly, although the rest of the people sitting nearby were either being blissfully ignorant or courteous of her, so I followed their example even though I really wanted to say something of admiration as I walked out for the intermission right behind her. Once the show ended it became a “now or never” moment. I went out again only a few feet behind her but then she sat down in the foyer, probably to wait to congratulate her daughter. So I went ahead but was thinking “should I or shouldn’t I?”, having heard via the Avengers.TV forum that she sometimes prefers privacy over recognition. But once I saw an older woman go up to cordially greet her and Diana receiving her very warmly, that sealed it. I went back over to her table and kept it simple, saying “your daughter was excellent. I love your work.” (That’s all there is to say, really.) She seemed genuinely appreciative, giving me a warm smile and saying “thank you” in a friendly theatrical tone to me that gave a sense of her stage experience even through voice. It was enough to send me running to the bus stop (and I could have gone on down the street home) with a huge smile.